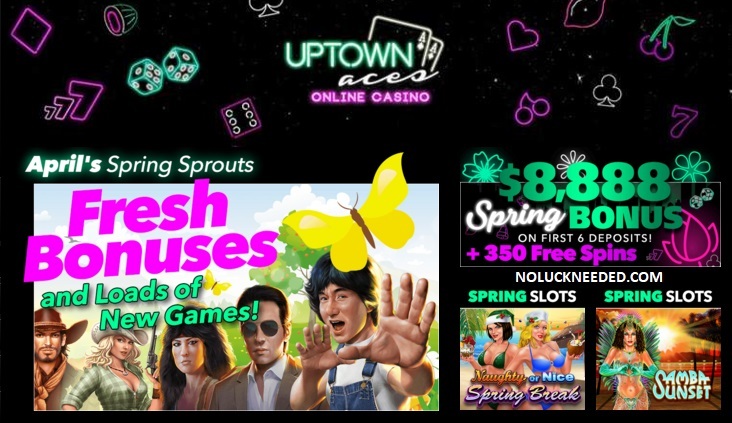 Get ready for the weekend a $50 free chip to play your favorite slots at Uptown Aces Casino! Redeem the coupon code VIPLOYALTY to claim your $50 VIP freebie and win up too $500 if your account qualifies and your last transaction was a completed deposit from Tuesday to Thursday at Uptown. April depositors can also claim 100 free spins with the bonus code listed below. Good luck! Thanks to RGALP for the code! Good luck!